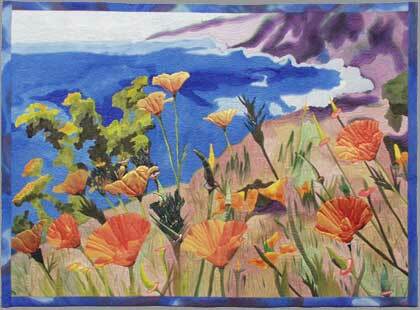 55" w. x 40" h.
As we drove the Big Sur Coast in May, the poppies so dominated the landscape and inspired this quilt. 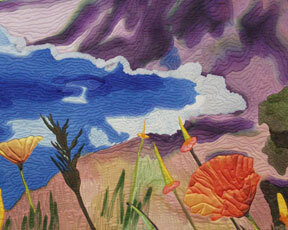 Techniques include: Silk painting with polyester disperse dye transfers, machine applique and quilting. Copyright by Barbara Barrick McKie, all rights reserved.